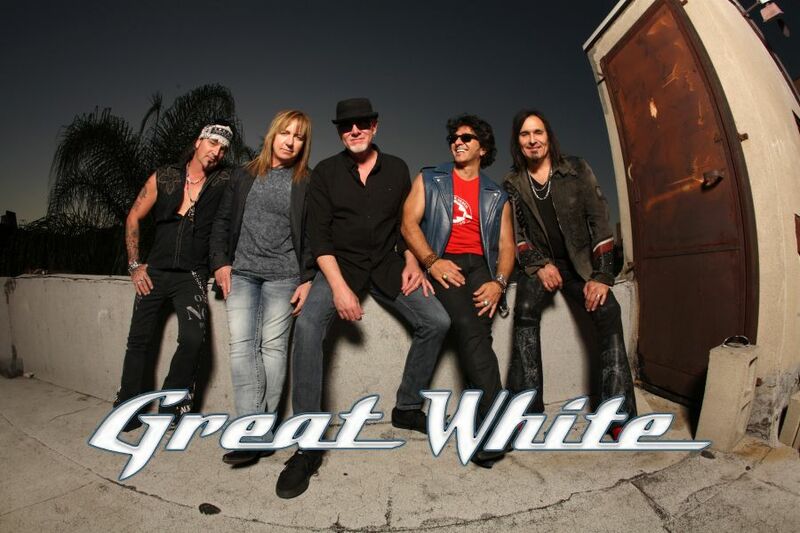 The legendary Grammy-nominated, Billboard chart-topping band, Great White, comes to Big Rock Pub for a rare, intimate acoustic performance that will be written in your memory hall of fame for a lifetime. Charity raffle of a Great White autographed guitar and meet and greets with the band will benefit SafeHouse of the Desert. Big Rock Entertainment is honored to bring this legendary band to our stage, and provide you with a unique, up-close and personal place to hear their timeless music. We have a full bar and menu available. Seating will begin at 5 pm, first come, first served. Outside of tables reserved by the club owner and the band members, there will be no advance reservations taken for this event. There will be a two drink minimum. We ask that you be considerate when taking photos to not block the view of others, and please no flash filming/photography. We are equally honored to support SafeHouse of the Desert. Please see your ticket options for opportunities to win a guitar autographed by Great White and/or an opportunity for a personal meet and greet with the band. SafeHouse of the Desert, with Community Support, provides Emergency Shelter, Intervention and Outreach Services to Youth in Crisis. Changes? Yeah, they’ve had ‘em. Fallen off the path? Guilty. Slowed down? No way. Never. Best known for their Grammy nominated Best Hard Rock Performance hit, “Once Bitten, Twice Shy,” Great White has sold over 10 million albums worldwide, has six Top 100 Billboard hits, nine Top 200 Billboard albums, two platinum albums, and clocked the top of MTV video four times. Page 3 of 3 To experience their hits live in concert—“Rock Me,” “Mista Bone,” “Save Your Love,” “House of Broken Love,” and “Lady Red Light”—is to ride an emotional wave of sultry connections, arousing lyrics, and an all-out marathon of hard-hitting orchestrations. Great White continues to tour worldwide and in the last two years logged nearly 200 dates in several states and countries. The band celebrated numerous milestones that included several sold-out performances, a return to the Zurich, Switzerland’s Rock Im Tal Festival, and for the first time ever, a handful of intimate, acoustic performances.